Dead Goat Polo in Kyrgyzstan? Yeah, It’s a Real Thing. I used to be such a stickler to keeping the blog in chronological order, but I think that’s part of the reason why I always fell so far behind. I think, too, that it doesn’t matter if I keep this thing in order. If you want to see what I’m up to day-to-day, you have my social media, and you have my travel vlog. I think (final thought, I promise), that I want to use this space to just write about the things I want to write about, regardless of when they happened. 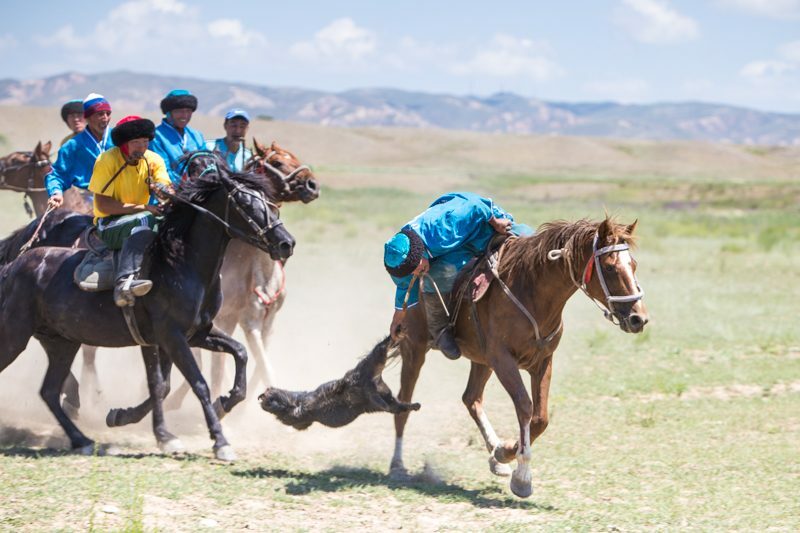 Today, I want to write about dead goat polo, a sport known as Kok-Boru in Kyrgyzstan. It’s a bit barbaric, it’s definitely a bit of a controversy, but the thoughts the sport evoked in me were interesting, so I wanted to share them with you. I’ve heard to people refer to Kok-Boru as both dead goat polo and dead goat football. But, to me, it’s more like dead goat rugby. The sport is actually played in many of the ‘stans and is named different things in different countries. In fact, the sport was featured in one of the Rambo movies, though I think in that film it was being played in Afghanistan. The history and folklore behind the sport is interesting. 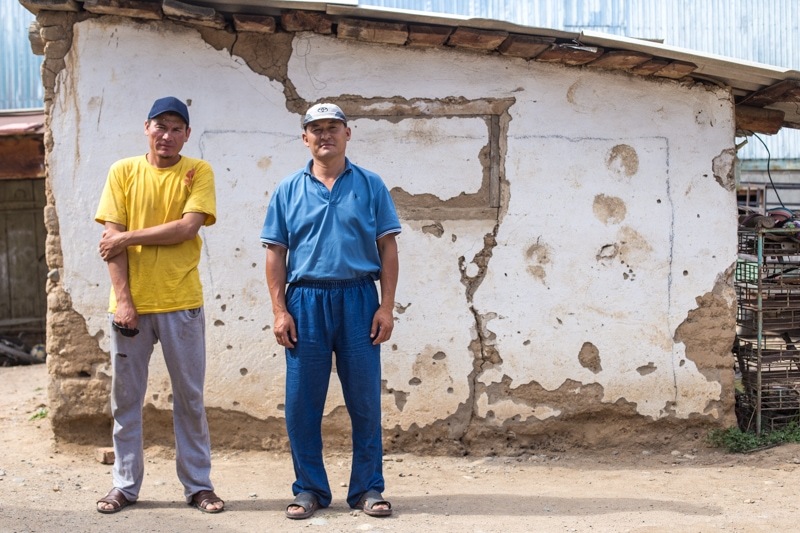 In Kyrgyzstan, after seeing my second match of Kok-Boru, one of the local players gave me a bit of a rundown on the sport. Apparently, dead goat polo was invented in the mountains after locals saw a pack of grey wolves kill a goat and then toss it around for fun. 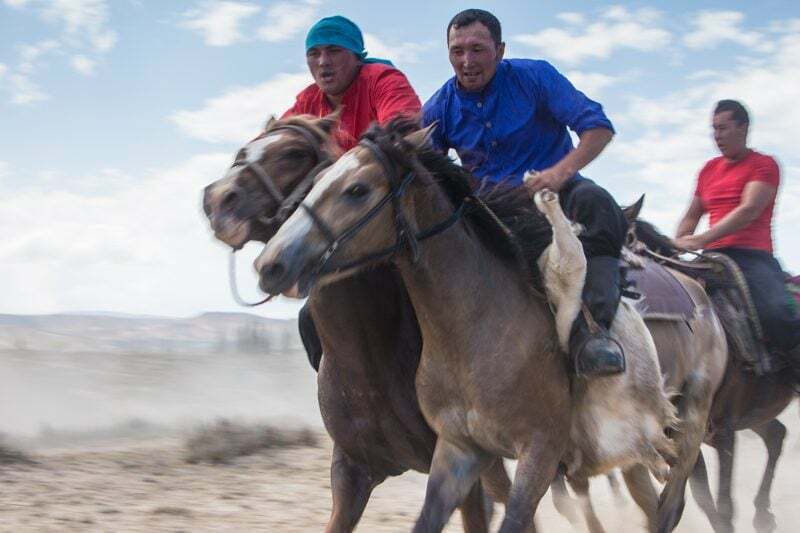 And while that first part might be folklore, the sport was actually used as a means to get horses ready for war. And, if you ever watch the game, that idea makes full sense. 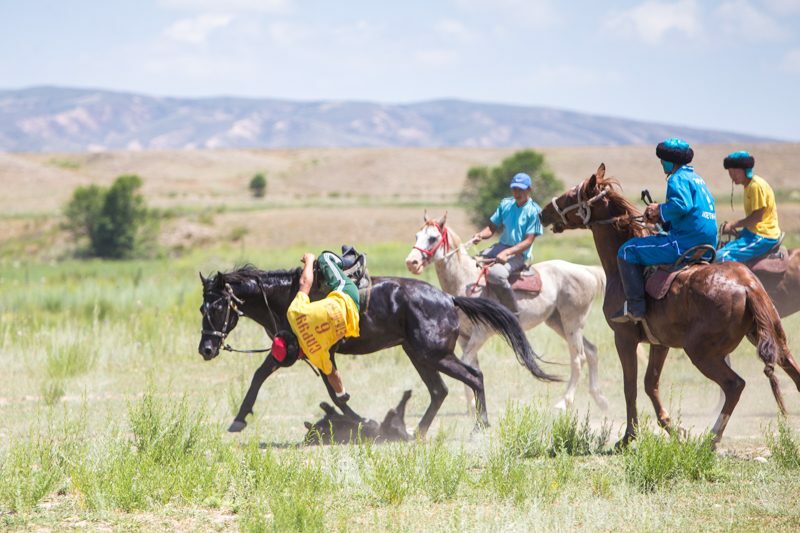 The horses, along with their riders are constantly smashing into each other, blocking, and battling. It does look like real war at times. In reality, the game looks a little bit like rugby with a tire-tube basketball-style goal. Teams scrum for the dead goat, and try to scoop it from the ground of the pitch and then deliver it to the goal. Most of the game is spent in a face-off-like battle to pick up the goat in which teams push and shove until someone picks up the goat. Then, they battle their way around the pitch until the goat gets tossed into one of the goals. Quite often, the game can be a little bit slow. But, then, occasionally the scrums break and there is some excitement as they race towards a goal. My first experience with Kok-Boru was near the Bel-Tam Yurt Camp on Issyk-Kul Lake. 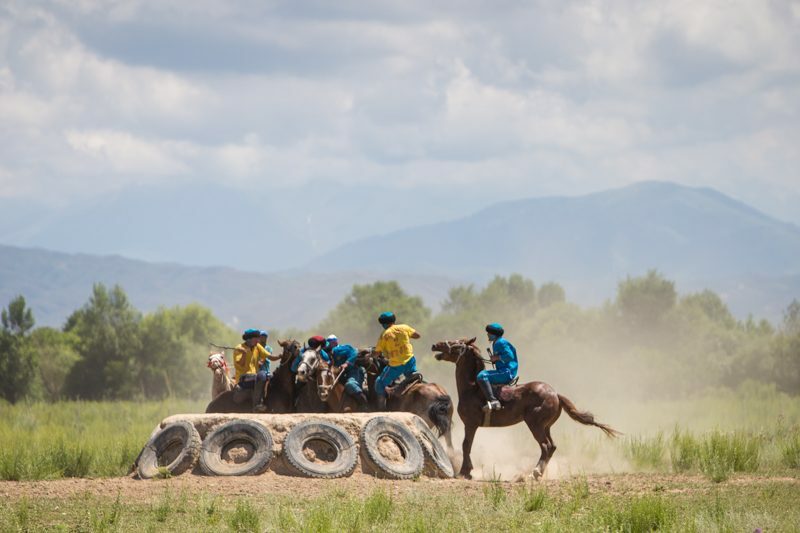 There were these amazing mini-nomad games put on in association with Discover Kyrgyzstan and USAID, and Kok-Boru was one of the events. Honestly, I didn’t know it at the time, but this match was quite tame. Maybe because they were playing in front of tourists, and it was meant as more of a display than a competition, it was much tamer than my later game. But, it was a nice way to ease into the sport. The day after the mini nomad games, I was invited to see a real Kok-Boru match. And, it was definitely much more real. In fact, I was even there when they killed the goat. And, honestly, it was pretty hard to watch. But, I think it’s my journalistic duty to see these things. In fact, I think that if you’re going to watch the sport, you have to be willing to see that side of things too. More on that later. This match was far more intense as they were less concerned, I think, about being tame for tourists. They went full out and it was actually really violent at times. When the game ended, they gave me the chance to get up on a horse and try to play a bit as well. But, it’s a challenge, for sure. Just picking the goat from the ground is a seriously tough task. Then, holding the goat is another story all together, it’s extremely heavy at about 35-40kg. I can’t imagine picking up the goat and then galloping a horse at full speed while hanging on to it. After the game, it’s apparently an honour to be chosen to get to eat the goat. And, we were given that honour as guests. We were invited to the house of one of the players where we had a goat feast. It was kind of a surreal feeling. And, as I mentioned in the intro, it made me think about a lot of things. The family that hosted us. Before I posted the video of the sport I knew the post would create controversy. And, to be honest, I didn’t really have an opinion one way or another on the ethics of it all. I wanted to see it played out before I formulated my opinions. I spent a lot of time thinking about it on the way to Karakol that night, and I think I came up with my final opinion. It’s in the end monologue of the video, but I’ll also sum it up. Why is there so much controversy about using a full dead goat? If I played a game of football in Kyrgyzstan, and then after the game someone told me that their wife made the ball out of cow’s leather, would there be the same outrage? If not, why not? Why is there this anger surrounding the playing with a full dead goat rather than just bits of it? I think that if you were outraged by the use of a dead goat for sport, then you should also be outraged by the use of leather products being used in sports: football, american football products for example still often use leather. And, you should also be just as outraged by people eating it. If you respect an animal so much that you don’t think we should play with it, you shouldn’t eat it or buy products of it in general. It’s harder to see when it’s raw, but what is the real difference between playing with a full animal or just parts of one? Also, this goat lived a free range life. Likely much better than most north american produced meat does. Are you also outraged about that? Or because it happens behind closed doors and is hidden it’s ok? Out of sight, out of mind. The tradition will eventually move towards a synthetic goat. If you’re outraged by the use of a dead goat, you should also be outraged about all leather products. The shock value of this sport is the thing that could turn a person vegetarian. I think everyone needs to see where their food and products come from to give some “reality” to their usage and consumption of animals. I still don’t have strong feelings either way, and can totally understand arguments on both sides of things. 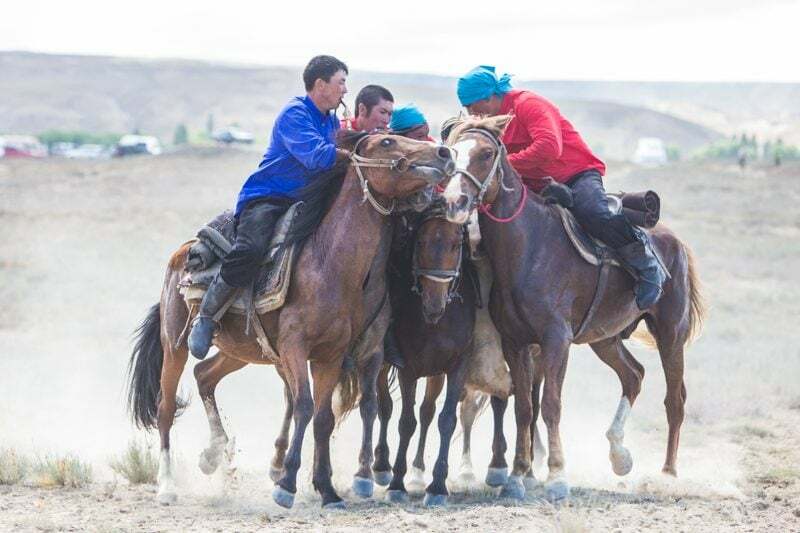 I’d love to hear your opinions regarding the sport of Kok-Boru AKA dead goat polo. What do you think? Let me know in the comments. And, if you haven’t seen my article with photos of Norway, check it out. Is it real ? then this game is the wierdest I ever heard. 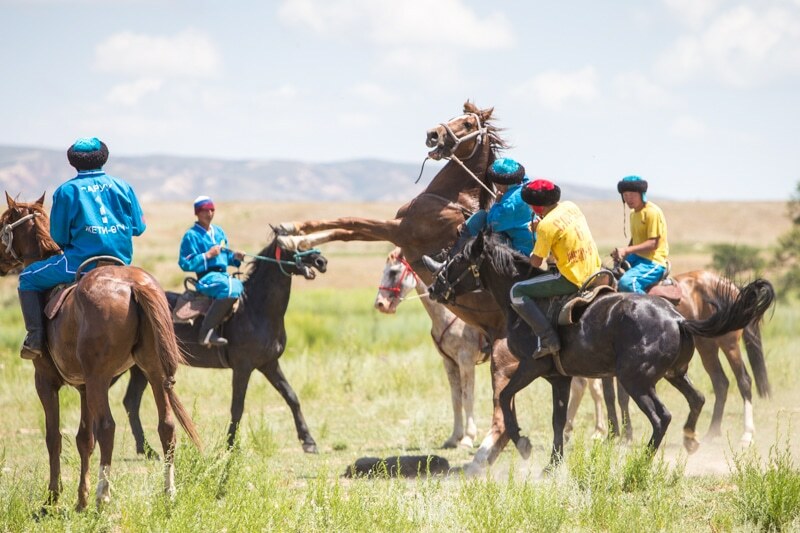 Would definitely like to witness this game while visiting Kyrgyzstan. It would be an experience worth having. this is the weirdest thing ever!~ but something amazingly unique to witness! Great shots yet again Brendan! There are many games around the world which includes animal. Thanks for bringing one such sport to us.